Lemon Quick Bread – this easy quick bread recipe is bursting with lemon flavor. It’s great for dessert or breakfast – with or without a lemon glaze! Happy 2017!! Isn’t that crazy? I’m continually shocked at how fast time flies. I’ll read a book or see something reference the early 2000s and think it was just a year or so ago…and then I realize that the early 2000s were over 10 years ago. As I’ve talked about before, I don’t make really strict resolutions. Resolutions are meant to be broken, so I don’t even bother trying. Sure, losing weight is something I want to do, as is eat better, drink less wine, and exercise more. Don’t we all want to do that all the time? But really, I have to get serious. My metabolism isn’t getting any younger, and my pants keep shrinking, so…healthier eating is becoming a priority for me. It’s not a resolution, just a goal. Last year, I resolved to be happy. 2015 was a really hard year and I looked forward to making 2016 a better one, and you know what? I did. I’m super proud of myself that I put myself first last year. As I’ve talked about at length, I began to conquer my anxiety in early 2016. I took back control of my life and as result, I’m such a happier person. I’ve been able to make stronger friendships online and in real life by forming relationships with women that I now call best friends and sisters. I’ve been a better and happier mom and wife, and I was able to stay strong during some hard times the last few months. My resolution for my business is similar: I want to enjoy myself. I want to have fun and love what I’m doing. 99% of the time, I still love this job (I get to write about food! And eat!) and I consider myself lucky. The times I dislike what I’m doing are far and few between, and I want to keep it that way, so I resolve to do what makes me happy on this blog. That means sharing things all the things I love, and that includes more than just dessert….so stay tuned! First up, one of the things I love the most is LEMON. I can never get enough lemon in dessert or breakfast foods. Muffins, pie, cake, drinks, cookies…you name it I LOVE IT and so do you all! 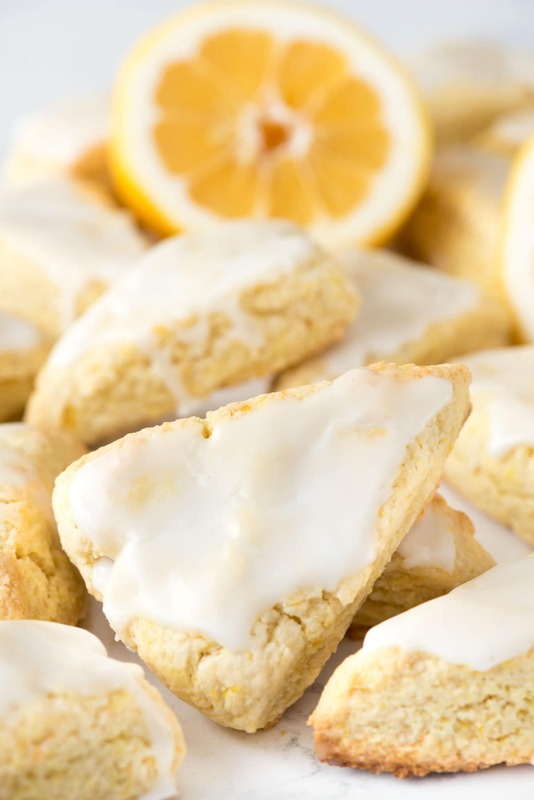 (THESE lemon cookies went totally viral!) I think it’s fitting that my first recipe of the year is lemon: a Lemon Quick Bread, that is. So far I’ve made drinks and lemon curd…and this lemon quick bread. TWICE. Yep, it’s that good. I ate it for many a second breakfast over the holiday break. This is most definitely in the bread-not-cake category. The crumb is similar but it’s not as sweet as a cake and is much closer to the texture of banana bread (without the bananas). The lemon flavor POPS, thanks to lemon zest and lemon extract (the extract is optional but gives so much flavor; be sure to use PURE lemon extract). Once the cake was done I drizzled it with a simple lemon glaze, but if you’re cutting calories that is totally optional. This is a bread that’s good enough for breakfast, brunch, or dessert, and doesn’t make you feel like you just ate cake at 9am. I should know…after all I ate about half of each of two loaves…so one whole loaf of lemon quick bread…which is why my “be happy” resolution includes “eat less”! 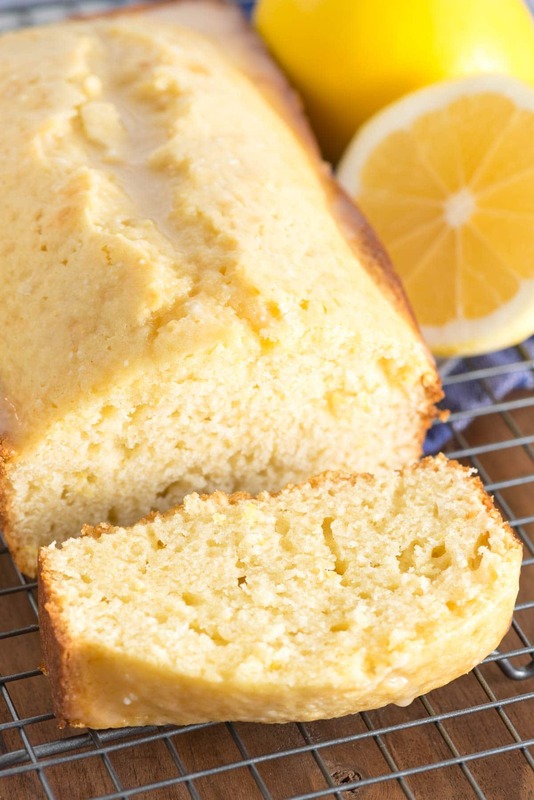 Watch how easy this lemon quick bread is to make! 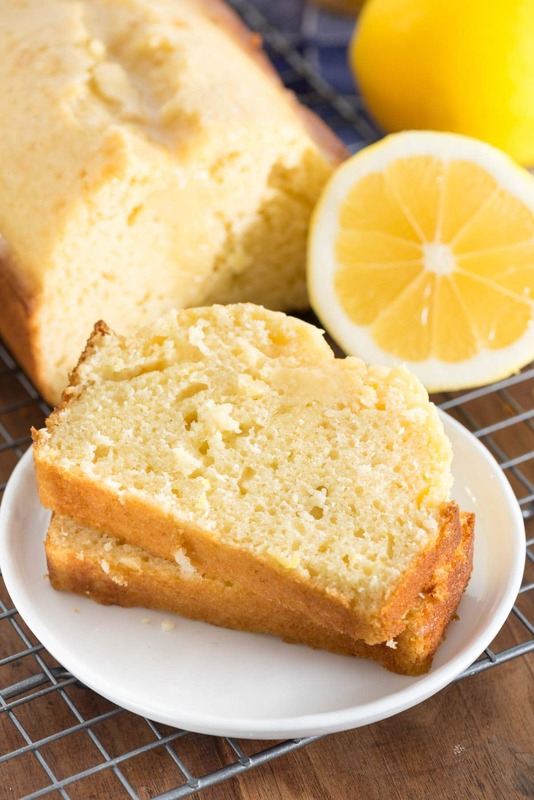 Lemon Quick Bread - this easy quick bread recipe is bursting with lemon flavor. It's great for dessert or breakfast - with or without a lemon glaze! Preheat oven to 350°F. Spray an 8.5” by 4.5” loaf pan with nonstick cooking spray (use the kind with flour if you have it). You can also use an 8”x4” loaf pan. Place eggs, oil, evaporated milk, extract, and zest in a large measuring cup or small bowl and whisk. (The extract is optional but gives that telltale lemon flavor.) Stir the wet ingredients into the dry ingredients and stir just until the batter forms. Pour into prepared pan and bake for 35-45 minutes, or until a toothpick comes out mostly clean just slightly to one side of center. Cool before frosting. Whisk powdered sugar and lemon juice (1 tablespoon at a time) until desired consistency, drizzle over the bread. The frosting is optional and makes it more sweet, but the bread is good without it as well. I can’t get enough lemon flavored food. Seriously, it’s a huge handicap for me…I have no willpower or self control. This looks gorgeous! Neither do I! I have some of this still in the freezer and I want it so bad. This quick bread looks so bouncy and moist. I am looking forward to trying it this week. I have several lemons waiting to be used just for this recipe. 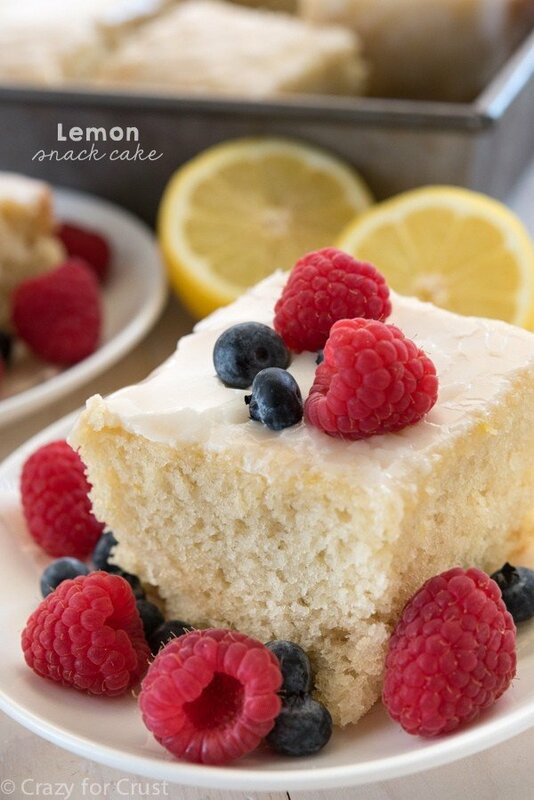 And then the other lemon recipes you have after your recipe look divine! Can you bread flour in place of the all purpose? This looks so moist and flavorful! I love it. My boyfriend is a huge fan of lemony baked goods, so this will have to go on the menu ASAP. I make this but double it and use buttermilk! Cook in a bunt pan! Thank you so much. Not only for the recipe, but mainly for your honesty about your life. I am going thru a very hard time right now. I needed to see that there’s someone else that felt the same as I do now. Thank you so much. I pray this ends soon. I used 1/2 cup sugar, had no lemon extract, but wanted a lemony taste, added 1/2 oz lemon juice, plus the required amt of extract to the eggs and whisked, and 4 & 1/2 ozs milk. Hi Dorothy – can regular milk be substituted for the evaporated milk? If not, can something else be substituted for it? Usually, evaporated milk is a substitute for cream, so I would imagine you could use cream for evaporated milk. Hope that helps.